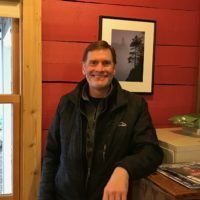 I have been selling real estate along the North Shore of Lake Superior since 1991, specializing in Lake Superior and inland wilderness properties, homes, land, lake shore and business properties. Starting Red Pine Realty in 1996, I've built a professional staff of REALTORS from diverse backgrounds to help with your real estate search in Cook and Lake Counties. We all look forward to being of service to you, whether buying or selling property in this unique corner of Minnesota.